We have a great doctor ( Jerry Jaboin ). He focuses on research and knew about all the latest stuff we have read about on the internet. One comment he made is that not much progress was made on brain tumors a few years back because there was no money for research. That has changed recently and now lots of new developments are starting to happen. He is following clinical trials closely. His specialty is treating Glioblastomas so we feel like we are in the right hands. Plus he is a lot of fun to talk to and as Jessie said, gave us cheese. I was fitted with a mask to hold my head in place so they can target the tumor area. They can shape the beam now and he feels the tumor was away from all the “vital” stuff so I should have a good treatment with very few side effects. My first radiation treatment is scheduled for Tuesday next week. This is NOT my mask but one I found on the internet to show what it looks like. I will see if I can get a picture of mine. I know they took a couple. I have also made it into a study using a new contrast agent in MRI’s to using Ferumoxytol on Glioblastomas to highlight the cancer cells. Fermoxytol uses iron particles to show up differently in the tumor cells via an MRI. This is important after treatment as the area treated can be swollen and look as a false positive for tumor regrowth. The hope is this new view will give us a more accurate picture of the tumor blood supply and how much actual tumor there is. And of course it would have been better if I could have had an MRI done with this new agent before surgery but we did not know it was a Glioblastoma before surgery. Everyone thought it was an Oligo and this study is not being used on Oligo’s. So Wed, Thur, Friday I will have MRI’s done with various contrast agents and then Chemo and Radiation starts Tuesday next week due to 4th of July being on a Monday and delaying my start one day. So my Fireworks will be a day late this year. Overall doing well and everyone has been so positive given my age, fitness, and how well the surgery went. I cannot say enough how important it is to stay fit and eat healthy. You never know when you will REALLY need that fitness to kick in. I never would have expected that going to the gym every day would have resulted in me doing so well coping with a brain tumor. Dr Jaboin even made a comment how well a patient he had did as he started a fitness program once he went into radiation therapy and ended up in better shape than he started in. It is never too late to start! Oh and Jessie and I have started on the Ketogenic Diet. It is supposed to be beneficial to cancer treatment. It goes completely in the opposite direction of what I normally ate as it is much higher in fat but it has a emphasis on vegetables and I can live with that. The bulk of the diet is fat with moderate protein and little to no carbs. I was really eating more protein with moderate carbs and little fat so maybe I will get lucky and die of heart disease in 30 years. I would be happy with that! This guy is wicked smart, charismatic and really gives us a lot of confidence in his skill and this treatment. Plus he gave me cheese. Tom and I are going to adopt him. ❤️. Longer update later. So what did we find out today?? Well the most interesting news was that it was never a different kind of tumor and eventually changed into what I have. Due to the testing they did on it they think it has been a Glioblastoma all along. Also they don’t think I have had it very long. Possibly 3-4 months? My tumor was considered a grade IV and that is due to the number of cells dividing under the microscope. So that is the one bad strike, if it morphed from something else then it may be susceptible to treatment for that something else. It does have a MGMT hypermethylation and that makes it more susceptible to treatment. My KPS is good – that is a functional neurologic test that basically says I am a fully functioning adult. All of that adds up to I should Tolerate treatment well. 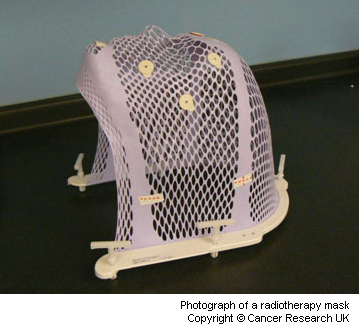 6 weeks radiation therapy: they will do another MRI to map out the exact location they will radiate. Because the tumors have little tendrils of cells they cannot cut everything out. Cells are always left behind. The radiation blasts the tissue around where the tumor was to try and kill those cells. The radiation is M-F for 6 weeks. Every day I will have to go and have my brain blasted for about 15 minutes or so. In addition to the radiation I get 6 weeks of chemo. It is a pill I need to take before the radiation to make the cells more susceptible to the radiation called Temodar or Temozolmide. I take this 7 days a week. After the 6 weeks I get a month off to recover. After my month off they will scan again and that becomes my new base line. I will continue to get scanned every 3 months after that. After my month off I do chemo again where I take a high dose of Temodar for 5 days then have 23 days off. I will continue on that cycle until they decide to take me off. I could be years. Fatigue (everything causes fatigue) counter act with exercise. My blood will need to be monitored for a decrease in white blood cells, a decrease in platelets and any allergic reactions. Increased risk of seizures from the swelling due to radiation treatment. I have very few real restrictions while on chemo/radiation. Just have to watch out for infections. This is the standard treatment for these types of tumors since 2005 with good results. If this does not work (and often these things do grow back) they have additional options such as more surgery or some trials. They don’t like to start anyone on trials as they want to make sure the standard treatments work before going onto something else that has not been established yet. We are going to try the Ketogenic diet as we have read about it as being helpful but the Dr did not feel it would make much of a difference. He felt a good “healthy” diet is what we need with lots of water and exercise. That is our plan. Jessie liked him (Dr Ambady – from the National Cancer Institute and Johns Hopkins) and she hates all my doctors. He answered our questions quickly and never really stumbled on them. So he appears to know what he is doing. He was not a cheerleader but gave us no cause for concern. Dr Neuwalt, the head of the department, was not there so we have not met him yet. He has several trials going so we always have those to fall back on.